Apparently, Apple believes the answer to its slumping sales is a makeover of its 244 retail stores. 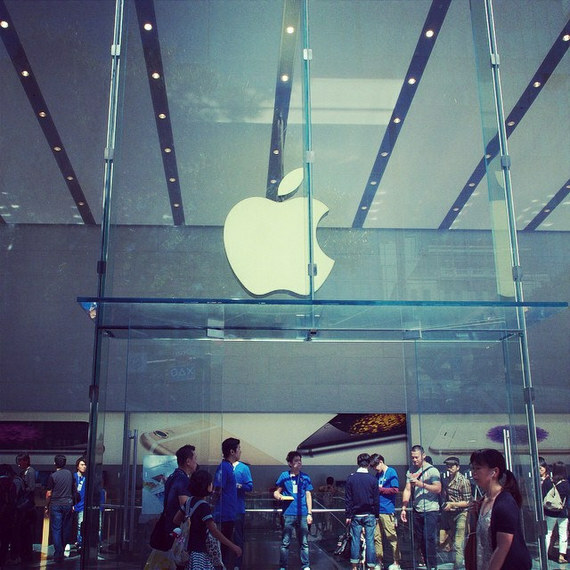 According to Buzzfeed "the future of the Apple Store looks like a normal Apple Store, but with a bunch of trees." While that is probably an over simplification, it seems odd that Apple is focusing on a store redesign when what it really needs is to get back on the innovation track, improve falling software quality, and provide better service to existing customers at its genius bars. Calling them genius groves is not going to make customers that face increasing waits for service any happier. Paying Angela Ahrendts $73 million to leave Burberry and run the Apple stores does not impress customers that get nickel and dimed when they paid a lot for Apple Care but had their product break just after the warranty expires. Being an owner of 9 Macs, two iPhones, two iPods, and two iPads apparently does not qualify you as a good customer that deserves a break, but being on Angela's celebrity list will get you a $17,000 Apple Watch for free. How well has that strategy worked for Apple? Many in the know say the product, the first collaboration of Tim Cook and Ms. Ahrents in the post Steve Jobs era, is a bona fide failure. Maybe those that got the watch for free can sell it some day for its historical value. Apple's turnaround from a company on the verge of going out of business to the most valuable company in the world is a phenomenal accomplishment in so many ways. Yet the concern about Apple's ability to innovate and lead in the wake of Steve Jobs death has not been overcome by the company's actions over the past few years. No doubt Tim Cook is an excellent executive. The problem is that the company recently announced its worst quarter in over a decade. It is clear to those that watch Apple closely is that it has become more like Toyota - innovating by incremental improvement - than the Apple of five years ago. Time will tell if positioning the new stores as destinations will produce positive results. One thing is for certain. If Apple does not fill the stores with innovative, reliable, and desirable products sold and serviced by knowledgeable "geniuses," its sales and profit trajectory is going to head in the wrong direction. A new campus and new stores are not likely to change that. I wish Apple and all of us users the best of luck. It appears we will increasingly need it.